Create logos, banners, blog images, sales graphics, Social Media graphics etc. The Graphics Creator - People Pak2 Edition (Win&Mac) was available as a giveaway on March 15, 2016! The Creator7 is a graphics product for your Windows (or Mac) computer. Just download it, install it - and you’re half way there. You’ll see over 50 really cool templates you can modify (It’s all drag and drop, so it's easy to get started). You can use the templates to create logos, banners, blog images, sales graphics, Social Media graphics, youtube banners and more! There’s nothing to draw and no programming required. And, there are lots of video tutorials if you need help. Imagine how free you’ll feel creating your OWN custom logos and page headers, without the wait time or spending big money talking to designers. No more extra charges for revisions! Please note: If you are a Mac user, download the installation file here (167 MB). How would you improve The Graphics Creator - People Pak2 Edition (Win&Mac)? 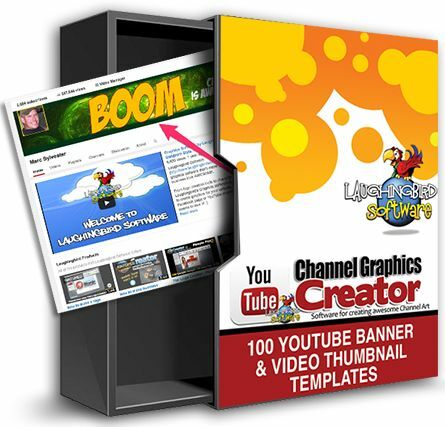 Fun and professional looking Youtube Graphics with this easy to use add-on pack. Create Youtube banners, video thumbnails and ”intro" graphics and "end bumper" screens the EASY way! Marc! Downloaded and redownloaded The Graphics Creator - People Pak2 And every time i unzip and try to run EVE I get a corrupted file error. Any remedies. Thanks. Been at it for an hour. Every time I download today's giveaway my internet explorer and/or the edge quits working so I have not been able to open the download. Will you offer a Super Bundle of all your products at a Bargain Price say $99.? Great program! Will you offer a Super Bundle of all your products at a Bargain Price say $99.? Just wanted to say a "Big-Bird" Thanks to you for your liberating 'app - it's a real gem (as far as I can tell) and your video tutorials have given me (an art class failure, and graphically-impaired management puke) a great deal of confidence to begin designing and creating my own professional-grade images! I'm feeling like that proverbial "blue-bird-of-happiness" is sitting on my shoulder (or maybe it has made its nest in my PC!) Thanks again, and best success to you in your future endeavors. If you have any questions about the software - feel free to drop me a line. @Mark, I know this is late but how do I become a member? Thanks. Hi.. I have installed on my windows 10 but on clicking it nothing happens.. any help would be appreciated. Is there anyone to help before the GOTD is over? <b>Abraham</b> Is there anyone to help before the GOTD is over? Not able to see any templates and the options that i could see where very limited. It would be much nicer to use if it defaulted to pictures folder for importing or exporting graphics files, and then remembering where the user navigates to on subsiquent imports or exports rather than defaulting to the Desktop each time. I'd also like to see more clipart provided with the product with support for vector clipart like wmf and emf vector files. I note the largest canvas one can define is only 2880x2880 pixels, that is only a bit over 8Mpixel graphic, not overly high resolution in modern terms, imagine printing at 1400dpi that equates to a graphic of just over 2 inches square. I also spent half an hour exploring the program, creating a graphic with several components in it, was fairly pleased with the results exported to png with trnsparency and to jpg... both worked. BUT then made the mistake of pressing the Home button and all my work vanished with no warning whatsoever! Thankfully I found a copy of the work done in a folder called My Templates, which I find a little confusing because I thought I was creating a graphic not a template... At least not everything was lost as first apeared... Of course all undo steps were lost though. I think the Home button should elicit an are you sure? this will close your current editing session! It would be much nicer to use if it defaulted to pictures folder for importing or exporting graphics files, and then remembering where the user navigates to on subsiquent imports or exports rather than defaulting to the Desktop each time. I'd also like to see more clipart provided with the product with support for vector clipart like wmf and emf vector files. I note the largest canvas one can define is only 2880x2880 pixels, that is only a bit over 8Mpixel graphic, not overly high resolution in modern terms, imagine printing at 1400dpi that equates to a graphic of just over 2 inches square. I also spent half an hour exploring the program, creating a graphic with several components in it, was fairly pleased with the results exported to png with trnsparency and to jpg... both worked. BUT then made the mistake of pressing the <b>Home</b> button and all my work vanished with no warning whatsoever! Thankfully I found a copy of the work done in a folder called My Templates, which I find a little confusing because I thought I was creating a graphic not a template... At least not everything was lost as first apeared... Of course all undo steps were lost though. I think the Home button should elicit an are you sure? this will close your current editing session! I installed this giveaway yesterday on 2 laptops. Today, when I rebooted my 1st laptop, the "The Creator" shortcut on my desktop turned into a "document" icon. When I double-clicked it, a dialog box appeared with this error message: Windows cannot access the specified device, path or file. You may not have the appropriate permissions to access them." Note: Everything was working fine yesterday. Deleted the 2 folders which contain the installed files. Downloaded and re-installed it, installation successful but shortcut still the "document" icon. And I am still unable to run the Creator 7 (still same error message). FYI: The Creator 7 works well on my 2nd laptop. I installed this giveaway yesterday on 2 laptops. Today, when I rebooted my 1st laptop, the "The Creator" shortcut on my desktop turned into a "document" icon. When I double-clicked it, a dialog box appeared with this error message: Windows cannot access the specified device, path or file. You may not have the appropriate permissions to access them." Note: Everything was working fine yesterday. Deleted the 2 folders which contain the installed files. Downloaded and re-installed it, installation successful but shortcut still the "document" icon. And I am still unable to run the Creator 7 (still same error message). FYI: The Creator 7 works well on my 2nd laptop. Start The Creator 7 then on the right top click on Members Login you will be directed to website click on the top right Log in or Sign up then "Do you already have an account?" select no if you don't have an account you will be directed to a page where you got to fill out info. I have uploaded screen shot for help. Your sys will only download a exe file vice an os x file. 4. Finally, when I realize I'm trapped in a circular virtual reality universe, I find that I can't even close the program and have to resort to 'Task Manager' to get out of it...!!! Great pity really, because the offering looked really good to me and I was looking forward to exercising my creativity... Bugger..! After downloading, trying, failing, uninstalling, downloading a second time, trying, failing again, I'm tempted to give the whole exercise a big miss... 1. When I click on a template, it loads with text only, no graphics, and I immediately get a 'save TemplateFile' pop-up saying: 'Cannot save file in work directory'... 2. When I click 'O.K. ', then try to drag a 'Baldy Bob' graphic into the template, I get a 'asyncCopyToWorkFile' pop-up stating: 'Unable to copy element file to work directory'... 3. When I try to exit out of the exercise, I get a 'Save Untitled Template' pop-up stating: 'Would you like to save your work? Please enter a name for the new template.' But I don't want to save it, so I hit 'Don't Save'... 4. Finally, when I realize I'm trapped in a circular virtual reality universe, I find that I can't even close the program and have to resort to 'Task Manager' to get out of it...!!! Great pity really, because the offering looked really good to me and I was looking forward to exercising my creativity... Bugger..! So Marc, Glenn, do I take it there isn't a solution to the problems I've detailed above, or is it just not designed to work 'Down Under'... I'm on Windows 10, 32 bit and the problems I'm encountering occur on both the Free Templates and the PeoplePak2 Templates, what is the 'work directory' and why can't I save a template to it..? In case I haven't been clear, I'm still keen to use it... if I can get it working..! <b>Hippy Chippy</b> So Marc, Glenn, do I take it there isn't a solution to the problems I've detailed above, or is it just not designed to work 'Down Under'... I'm on Windows 10, 32 bit and the problems I'm encountering occur on both the Free Templates and the PeoplePak2 Templates, what is the 'work directory' and why can't I save a template to it..? In case I haven't been clear, I'm still keen to use it... if I can get it working..! Never mind, Marc and Glenn... Got to hand it to 'Gunsmoke' on your Blog, he nailed it... I opened the program as 'Administrator', problems outlined above... all gone..! <b>Hippy Chippy</b> Never mind, Marc and Glenn... Got to hand it to 'Gunsmoke' on your Blog, he nailed it... I opened the program as 'Administrator', problems outlined above... all gone..! I don't make my living designing logos or business cards, so I would not buy the "The Graphics Creator" program since it's pretty limited to those functions. So I hesitated to download this add-on. But, it appears from the comments that this is basically a collection of transparent images of people. If so, they could be used in any graphic, not just logo or business card design and not just with the developer's program. It also says in the comments that you can import your own images and strip the background to make your own transparent "people" graphics. Many programs do this, but it can be a touchy task depending on the person and the background. This may If this does a good job at that it would be a real asset. I don't make my living designing logos or business cards, so I would not buy the "The Graphics Creator" program since it's pretty limited to those functions. So I hesitated to download this add-on. But, it appears from the comments that this is basically a collection of transparent images of people. If so, they could be used in any graphic, not just logo or business card design and not just with the developer's program. It also says in the comments that you can import your own images and strip the background to make your own transparent "people" graphics. Many programs do this, but it can be a touchy task depending on the person and the background. This may If this does a good job at that it would be a real asset. Marc Sylvester Hey! I had a busy day, but I finally followed your advice and downloaded it. I'm glad I did, it looks like a great program - and not just for those who design logos and business cards. I think the graphics could easily be integrated into the PowerPoint presentations I use for digital signage. I misunderstood the title and thought the giveaway was the People Pack add-on, a bundle of images or templates, not the core program PLUS the People Pack. I'm glad I got it, and I love your tutorial videos (I've produced educational videos myself and I think you did a great job of making them fun and friendly). I have a daughter who has a blog publicizing products and services, and I think she could really use this. I'll forward the info to her. I wish it wasn't so late, she'll probably miss the giveaway, but I still think it would be a good investment for her. Now I'll have to take a look at your other template sets and products. Thanks for a great program! <b>Marc Sylvester</b> Hey! I had a busy day, but I finally followed your advice and downloaded it. I'm glad I did, it looks like a great program - and not just for those who design logos and business cards. I think the graphics could easily be integrated into the PowerPoint presentations I use for digital signage. I misunderstood the title and thought the giveaway was the People Pack add-on, a bundle of images or templates, not the core program PLUS the People Pack. I'm glad I got it, and I love your tutorial videos (I've produced educational videos myself and I think you did a great job of making them fun and friendly). I have a daughter who has a blog publicizing products and services, and I think she could really use this. I'll forward the info to her. I wish it wasn't so late, she'll probably miss the giveaway, but I still think it would be a good investment for her. Now I'll have to take a look at your other template sets and products. Thanks for a great program! great to hear this Don! I appreciate you taking the time to post. It's a way to download the core engine and see how it all runs. I've used Laughing Bird products for years. They've always been terrific! I know this company since long and it is a reputable. I have installed The creator 7 easily without any trouble. "Anything you purchase from Laughingbird Software is truly "royalty free" with no worries, and no extra fees." What about the usage of images/templates from The Creator 7, how many we could use in One Project? I also found the software is simple and easy, images are great and interface is friendly. Just one thing, Flash days are over due to security therefore I wonder who will use SWF files? I think I will buy some other products from the website may be later. Nice to hear from you. Thanks for the kind words. Yes, whatever you create with the software (banners, logos... that kind of thing) you can resell. So, if you wanted to, you could start your own little mini business selling banners and Graphic-ads. And yes, I put the SWF feature in there many years ago and never took it out. That first sentence tells me that this is likely a staged comment. Thank you Marc. I got another question if you do not mind? Whenever I start The Creator 7 I get a Security warning (in Japanese, my OS is in Japanese) need to connect with server, though server is not confirmed. When I ignore the warning by clicking No I can use software but the exercise is painful. Why it want to connect with server and how to avoid it? <b>Marc Sylvester</b> Thank you Marc. I got another question if you do not mind? Whenever I start The Creator 7 I get a Security warning (in Japanese, my OS is in Japanese) need to connect with server, though server is not confirmed. When I ignore the warning by clicking No I can use software but the exercise is painful. Why it want to connect with server and how to avoid it? Nope. I don't believe it was. I'm just popping on here every few hours to see what others have written and I'm answering them. As far as I know, there are no staged comments here. I'm all valid my friend! I have no need to fake it. Sorry do not agree with you. I am very strict in leaving comments unless I know the product I do not waste my time. <b>Noseitall</b> Sorry do not agree with you. I am very strict in leaving comments unless I know the product I do not waste my time. If you read this - Would you mind contacting me directly? I would like to figure this out. Is there any way you can also take a screenshot of what you're seeing? Thanks GOTD for this great program. How to change the Text size or font type? I couldn't find a menu for this. Click on the text in question. On the left you should see a slider for the text size. <b>drvajra</b> Click on the text in question. On the left you should see a slider for the text size. First select template then click on the text in the opened text, on the left click on Format for some changes(fonts/size etc) for other work or edit click on the required tabs. You can refer screen shot uploaded for you. Select the text object and from The "Text Menu" press the "Format" button. In that panel find the Slider called "Text Scale" and adjust to the size you want using mouse to drag the control or arrow keys to fine adjust. To change the font type choose either "Embedded Fonts" or "System Fonts" buttons to activate the font type selaction. If you don't see the Text Menu on selecting a text object look for the button at the bottom of the menu panel that says "Return to Text Menu" and press it. The "Format" button is the main tweaks button on all types of objects. <b>drvajra</b> Select the text object and from The "Text Menu" press the "Format" button. In that panel find the Slider called "Text Scale" and adjust to the size you want using mouse to drag the control or arrow keys to fine adjust. To change the font type choose either "Embedded Fonts" or "System Fonts" buttons to activate the font type selaction. If you don't see the Text Menu on selecting a text object look for the button at the bottom of the menu panel that says "Return to Text Menu" and press it. The "Format" button is the main tweaks button on all types of objects. Is everyone in the UK getting this of you go to look on their Forum pages? Not very friendly is it. <b> Your IP address has been banned.</b> Is everyone in the UK getting this of you go to look on their Forum pages? https://www.laughingbirdsoftware.com/forum/ Not very friendly is it. Follow up - Just been in touch with the lovely Katie Hillman and she has mended it for me. Apparently 'The System' (read big brother) kicks out certain IP addresses if they happen to be similar to that of certain spammers. (as was in my case). hey Ho. So if you have the same issues get in touch with Laughingbird Software. <b>Terry</b> Follow up - Just been in touch with the lovely Katie Hillman and she has mended it for me. Apparently 'The System' (read big brother) kicks out certain IP addresses if they happen to be similar to that of certain spammers. (as was in my case). hey Ho. So if you have the same issues get in touch with Laughingbird Software. So you mention your IP is being banned from the site? Well that 's bad! Let me look into this. Shouldn't be happening. Just saw your post about getting in using KD's help. Downloaded and runs fine on my Win7/64 laptop. Does what it claims -- it's quite easy and intuitive to use. If you have any experience with another graphics editor you won't even have a learning curve. I did find the intro video that's included helpful. My comments for the devs: I find the "Baldy Bob" characters, well, pretty lame. I can't imagine ever using them. The "People Pak 2" selection does look useful, though I would have liked to see a more diverse variety of people. Looks like about 90% young women. Overall, a useful and well made program. Thanks to GOTD and Laughing bird Software. Downloaded and runs fine on my Win7/64 laptop. Does what it claims -- it's quite easy and intuitive to use. If you have any experience with another graphics editor you won't even have a learning curve. I did find the intro video that's included helpful. My comments for the devs: I find the "Baldy Bob" characters, well, pretty lame. I can't imagine ever using them. The "People Pak 2" selection does look useful, though I would have liked to see a more diverse variety of people. Looks like about 90% young women. Overall, a useful and well made program. Thanks to GOTD and Laughing bird Software. Excellent feedback. Really appreciate your time with the comments. Yes, I'll be creating more diverse people. And I'll work out the 'lame' Baldy Bob' issue. Lol. How do you get the people pak 2? <b>Dan O</b> How do you get the people pak 2? Mine came preloaded with it. On the left of the welcome screen, when you first open the program, there should be a button for selecting a template. There should be 2 sets to choose from, the free one and Peoplepak 2. <b>Jake</b> Mine came preloaded with it. On the left of the welcome screen, when you first open the program, there should be a button for selecting a template. There should be 2 sets to choose from, the free one and Peoplepak 2. Went to your site and did not find Graphics Creator in your product list. Is this similar to any of your other products and/or does it include any of your other ones. Hi Cynthia. Nice to meet you. The software is actually called "The Creator"
... for this Giveaway Of The Day, we renamed it to "The Graphics Creator"
same software. but I wanted to make sure people here on GOTD knew what the software did before they downloaded it. I suggest you visit the site and watch the short video on what this program does. I have no need for it so will pass but I can see how useful it'd be for many. Like the others, there is no where to activate. Their website has a "members" page, but without an activation I am not a member. <b>Marla </b> No need to activate: https://www.dropbox.com/s/s5kc74b0mrextha/About.png?dl=0 The program fully works. I had a previous version of this and sorely missed it. It's a great program. I was able to create very unique logos. I thought I remembered there being a resource pack download on the site which was a downloadable free bonus. It appears as though you need Promobot 365 Retailer Edition to "....completely rebrand the software as your own... and resell it as your own product! We can't use out logos we make here and use them for a business site????? I had a previous version of this and sorely missed it. It's a great program. I was able to create very unique logos. I thought I remembered there being a resource pack download on the site which was a downloadable free bonus. It appears as though you need Promobot 365 Retailer Edition to "....completely rebrand the software as your own... and resell it as your own product! We can't use out logos we make here and use them for a business site????? No, I think you're getting two products confused. The Promobot is a tool to help you with business ideas. The "White Label" version of the Promobot helps you re-brand and re-sell the Promobot. The Creator software (which is what is being given away free today on GOTD) is an app that helps you create graphics. 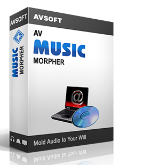 You CAN resell what you create with this software. Installed without problems on win 7 32 bit. You only get 2 paks with this, People pak2 and Baldy Bob's graphics, but you can use your own graphics in the software. Its good for messing around with and I will use it for making game graphics although the licence for this giveaway version says strictly not for commercial use! There is no uninstaller so I would just delete this folder to uninstall it. Its free so no complaints. Installed without problems on win 7 32 bit. You only get 2 paks with this, People pak2 and Baldy Bob's graphics, but you can use your own graphics in the software. Its good for messing around with and I will use it for making game graphics although the licence for this giveaway version says strictly not for commercial use! On my computer it installed to C:\Program Files\The Creator 7 There is no uninstaller so I would just delete this folder to uninstall it. Its free so no complaints. Also the softwares forum seems active. <b>Gupta</b> There is also a folder in my documents that contains all the images etc that you would need to delete if uninstalling, mine is at: C:\Users\Gupta\Documents\Laughingbird Documents Also the softwares forum seems active. I installed mine using Revo Uninstaller Pro and there is an uninstall icon to uninstall The Creator 7. Most of the photo images are available for free anyway from https://pixabay.com/. Everything else looks pretty simplistic IMHO. Many of the images on pixabay are in fact not free for commercial use. With any add on set purchased from Laughingbird Software you are to free to make money with what you create with any of the purchased add ons. <b>Sonny Boy</b> Many of the images on pixabay are in fact not free for commercial use. With any add on set purchased from Laughingbird Software you are to free to make money with what you create with any of the purchased add ons. <b>jane</b> No need to activate: https://www.dropbox.com/s/s5kc74b0mrextha/About.png?dl=0 The program fully works. Program appears to work fine; many templates to choose from in the left column. I did locate the file under My Documents (not the library My Documents) but do not seem to find the actual installation area. So this makes me curious along with everyone else who commented on that. Anyway, I believe this program will be great to work with and use especially since it makes transparent graphics and you are able to turn the png into jpeg right in the software and even work with those. Watching the very first video is very helpful. Maybe someone who is more experienced in computers can be most helpful to tell us where this program is actually installed. I even pulled up my uninstaller and it does not show any recently installed programs except Adobe which just so happens to be installed at the same time this program was installed. Weird. I just downloaded and installed this program and as I watched where it was being installed (Programs(x86) I was not able to locate it there after the installation. Searched under all the names: Laughing Bird; The Graphics Creator; Program appears to work fine; many templates to choose from in the left column. I did locate the file under My Documents (not the library My Documents) but do not seem to find the actual installation area. So this makes me curious along with everyone else who commented on that. Anyway, I believe this program will be great to work with and use especially since it makes transparent graphics and you are able to turn the png into jpeg right in the software and even work with those. Watching the very first video is very helpful. Maybe someone who is more experienced in computers can be most helpful to tell us where this program is actually installed. I even pulled up my uninstaller and it does not show any recently installed programs except Adobe which just so happens to be installed at the same time this program was installed. Weird. I provide the tech support for Laughingbird Software. It gets installed into 2 places: Your program files (X86) directory for those who have a 64 bit OS (It's a 32Bit program-- that's why you see it in the (x86) directoryand the templates get installed into your Document Library: In a folder called "Laughingbird Documents". C:\Users\glenn\Documents\Laughingbird Documents is where it is on my computer. <b>Mardel</b> I provide the tech support for Laughingbird Software. It gets installed into 2 places: Your program files (X86) directory for those who have a 64 bit OS (It's a 32Bit program-- that's why you see it in the (x86) directoryand the templates get installed into your Document Library: In a folder called "Laughingbird Documents". C:\Users\glenn\Documents\Laughingbird Documents is where it is on my computer. The Creator installs into your Program Files folder. And, the templates and graphics all install into your Documents > Laughingbird Documents folder. Thank you very much for this software, it is fun and easy to use and customize. Best of all, you can export what you create as a transparent png. You can export images in the PNG and JPG format. Up to a mx size of 2880 x 2880! <b>Andy</b> You can export images in the PNG and JPG format. Up to a mx size of 2880 x 2880! Well, Andy, you can always buy a licence, isn't it? <b>Andy</b> Well, Andy, you can always buy a licence, isn't it? Doesn't appear to have an option to uninstall it. or in the install location itself. Doesn't appear to have an option to uninstall it. Nothing found in Add/Remove, the program group in the Start menu, or in the install location itself. It's actually a very clean install-- you just delete the Laughingbird documents folder in your document library and the installed program folder in your program files directory. <b>Biigteapot</b> It's actually a very clean install-- you just delete the Laughingbird documents folder in your document library and the installed program folder in your program files directory. Downloaded, installed, but can't see any way to activate. As it stands just a very few naff templates. And a program that creates 'For Sale' type ads with strictly no comercial usage? No need to activate, just use it. <b>George</b> No need to activate, just use it. Good morning! I provide Tech support for Laughingbird Software. What ever you make with the software, using anything from any of the add on sets is free for you to use and make money from. What you have to look out for are "images you get off the internet". Anything you purchase from Laughingbird Software is truly "royalty free" with no worries, and no extra fees. Our software is designed to be used commercially! <b>glenn</b> Good morning! I provide Tech support for Laughingbird Software. What ever you make with the software, using anything from any of the add on sets is free for you to use and make money from. What you have to look out for are "images you get off the internet". Anything you purchase from Laughingbird Software is truly "royalty free" with no worries, and no extra fees. Our software is designed to be used commercially! To clarify: anything you purchase from Laughingbird software is 100% royalty free- and whatever you make with purchased add on sets can be used to make money from! <b>glenn</b> To clarify: anything you purchase from Laughingbird software is 100% royalty free- and whatever you make with purchased add on sets can be used to make money from! So, am I right to say that today's giveaway can be used commercially? <b>glenn</b> So, am I right to say that today's giveaway can be used commercially? Seems the extra templates don't show up until you've opened the folder in mydocs. Pity the instructions didn't point that out. <b>George</b> Seems the extra templates don't show up until you've opened the folder in mydocs. Pity the instructions didn't point that out. This is Marc Sylvester (Creator of the app). Yes, Glenn (my support guru) is correct. Anything you create WITH the software (banners, logos...etc) can be sold by you. You just can't resell the software if you know what I mean. So, why does the readme say it's not for commercial use???? There are hundreds of videos, a facebook page, a forum, and private group page! Please use the following link to go Marc's page on Youtube. ALL of his videos are located there!